The Automotive, Engineering and Mechanics Oil Protection Bundle is designed for precision, oily and mechanical industries that demand a little extra protection from abrasion, knocks and scrapes. 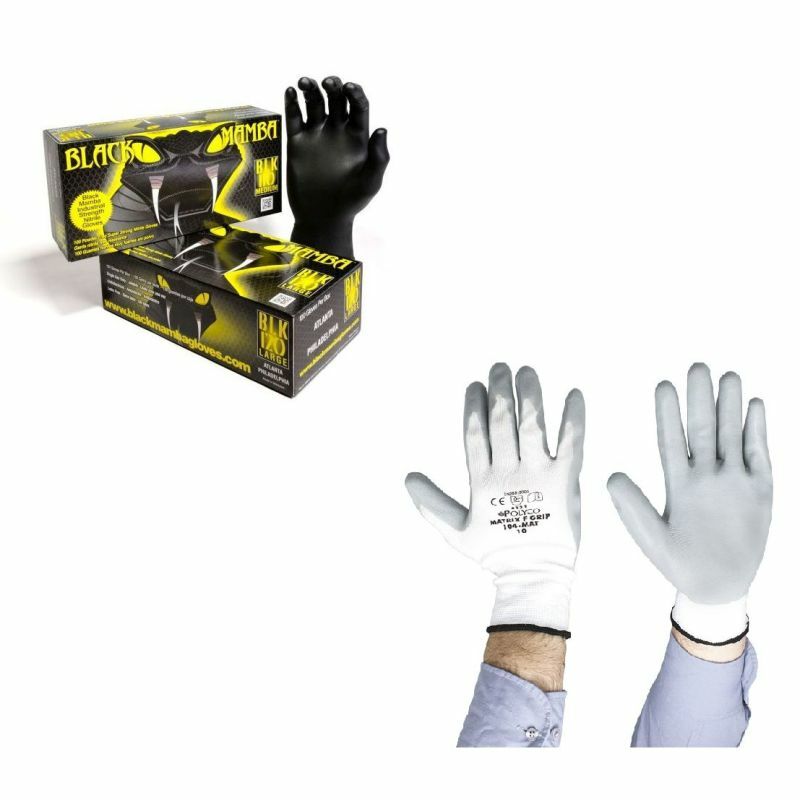 Coming at a discounted price, this bundle enables you to protect your sensitive and abrasion resistant Polyco F Grip Gloves with the high tensile strength and oil-resistant Black Mamba Disposable Nitrile Gloves, perfect for ensuring the longevity of your reusable gloves while protecting your hands against mechanical risks. What's Included in the Oil Protection Bundle? We recommend that you buy the Black Mamba Disposable Gloves a size up so that they can fit over the Polyco F Grip Gloves. What is the Oil Protection Bundle For? How Can I Save Money with the Oil Protection Bundle? You save money because you get the price of one pair of Polyco Matrix F Grip Gloves for free! As a result your workforce can work through the box of 100 disposable Black Mamba's while also protecting their hands from mechanical risks at a discounted rate. How Can I Make the Most of My Oil Protection Bundle? To get the most out of your bundle, you can wear the Polyco F Grip Gloves to provide a little oil resistance, while ensuring sensitivity, exceptional grip and protection against abrasion, knocks and scrapes. You then place a larger pair of the disposable Black Mamba Gloves over the top of your F Grips, where their resilient and oil-resistant design will protect your gloves against the worst of the oil helping to keep them clean. The Black Mamba Gloves despite their disposable design have a surprising level of tensile strength, meaning that they will last for a significant amount of time before breaking. This helps to ensure the longevity of the bundle and the F Grip Gloves, especially in them tasks where the oil load can be a little heavy. Why Have we Put These Two Gloves Together? How Oil Resistant is the Automotive, Engineering and Mechanics Bundle? The Black Mamba Disposable Gloves are designed with nitrile, meaning that they offer resistance to oil and can be used over an extended period of time without oil sinking through. This is ideal for applications that are heavy in oil. The Polyco Gloves are designed to be resistance to a little amount of oil, which is why the Black Mamba's can protect them should the oil load get heavier. What Else can the Automotive, Engineering and Mechanics Bundle Protect me From? Working in mechanical and industrial applications comes with risks other than oil. Don't worry though, as this bundle is designed to have your back. The Black Mamba Disposable Gloves are incredibly strong for disposable gloves, meaning that the first thing they'll protect will be the Matrix F Grip Gloves underneath. Other than that, they'll protect you from oil, water and a wide range of chemicals. 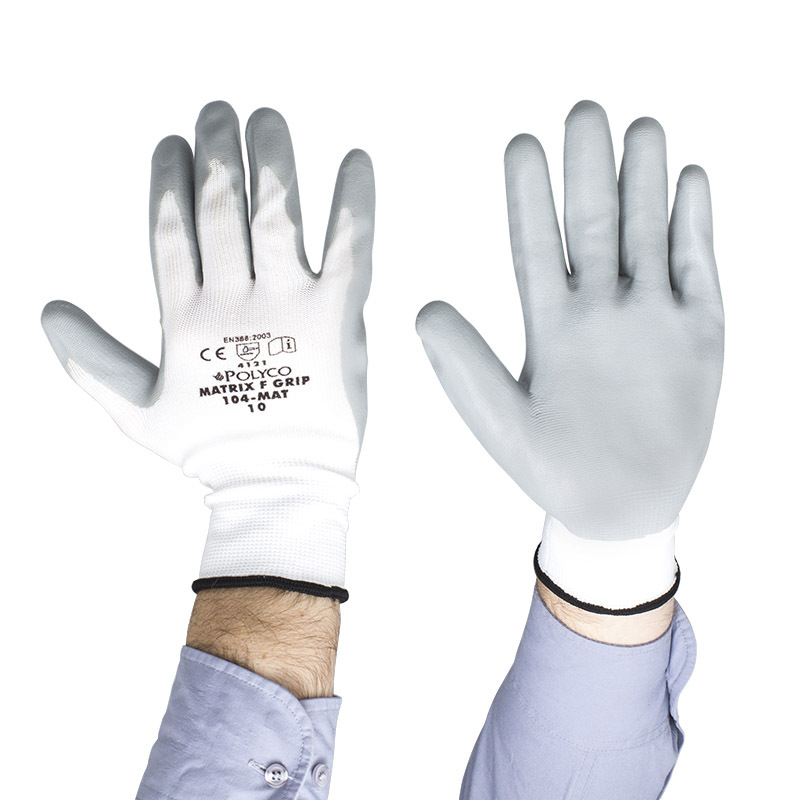 Lastly because they are disposable gloves they'll prevent contamination too, meaning that you can go from job to job without spreading oil and dirt around. The Polyco Matrix F Grip Gloves are designed for use in precision handling tasks involve a small to moderate amount of oil. They do offer mechanical resistance too, protecting the hands against abrasion and knocks and scrapes. Their EN 388 score is listed below. Why is the Oil Protection Bundle Ideal for Gripping Tools? Both the Black Mamba Gloves and the Polyco F Grip Gloves are designed for gripping tools, machinery and other items. The Black Mamba Gloves come with a finish called 'Grip-Rite' that helps to provide the sensitivity and grip needed for mechanics. 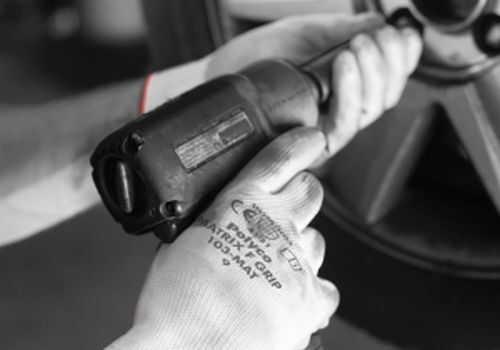 The F Grip Gloves are also ideal for precision handling, with their exceptional sensitivity and roughened nitrile palm coating that enables you to grip even the slipperiest of items. How Comfortable is the Automotive, engineering and Mechanics Bundle? You might think that wearing two layers of gloves may be a little uncomfortable. Well that's not the case, as the Polyco F Grip Gloves are extremely thin with a 40% polyester liner that feels snug but comfortable around the hand. The Black Mamba Gloves should be bought a size larger than usual, and should slide over your reusable Polyco Gloves with ease. What Materials are Used in the Making of the Oil Protection Bundle? Both gloves use different materials in their making, however both are latex-free so that the chances of skin irritation are greatly reduced. The Polyco F Grip Gloves are designed using 40% polyester and 60% nitrile, while the Black Mamba Gloves are designed entirely using nitrile. Can I Wash the Oil Protection Bundle? You won't need to wash your Black Mamba Gloves because they are disposable meaning that once a pair are dirty, you can throw them in the bin and pick up a new pair. The idea is that they prevent your F Grip Gloves from becoming dirty, however if they do become dirty they are suitable for machine washing. 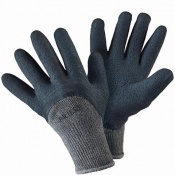 We would recommend against tumble drying the gloves. Please note that machine washing your Polyco F Grip Gloves could damage their overall gloves. Can I Buy the Gloves Outside of This Bundle? Choosing the sizes of your two gloves is easy. However we would recommend that you follow the sizing guidelines outlined below before jumping straight in. We would also recommend that you choose the size up for the Black Mamba Gloves than usual so that they can fit over your F Grip Gloves. 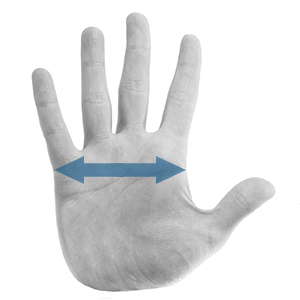 For both pairs, measure your the width of your palm from one size to the other and match to the tables below. If your measurement is between two sizes, we would recommend selecting the size above. If you want to wear these gloves over your F Grip Gloves, we would recommend buying the size above your usual. What Documentation is Available for the Oil Protection Bundle?